Here in the South, cooler weather can't come too soon. The heat makes otherwise standard things like denim, socks, and blazers almost intolerable until well into October. As I type, however, the sun has set and it actually feels (now that High School football is almost over) like football season. In Ohio it's nothing to trick-or-treat in the snow. In South Carolina, we're just starting to pretend like we need long sleeves. Before long, though, I'll be riding my Vespa in the early morning, and this bad boy will keep me from turning into a well-dressed, vintage icicle. 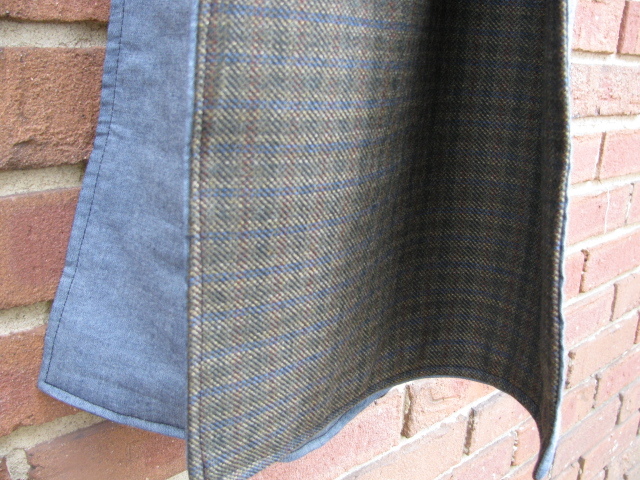 We've featured the Oxford patchwork wool scarves a short while back, and they've been moving nicely over at the store. 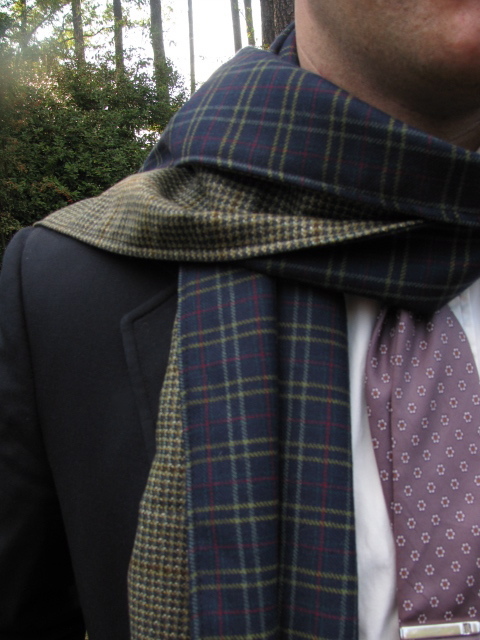 Now, behold: the Cambridge Scarf. More subtle, somewhat more elegant, and at a lower price point than its patchwork cousin, the Cambridge scarf will be available in several styles. Those you see featured here, plus a handful of other options, will be available on the store Friday, November 5. 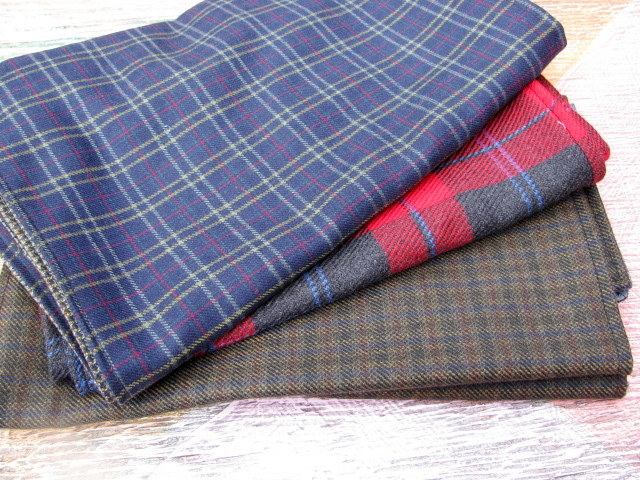 It's hard for me to name a favorite when you've got the two-sided, all-wool option (above), the frayed-fringed, one-piece red tartan plaid option (left), and the part wool/ part chambray option (below). But why limit yourself to just one? If you're in some place like Buffalo, Billings or Bismark, you're going to need every motivation in the world to brave the cold for the next 6 months. The Cordial Churchman hereby offers a money-back guarantee that an arsenal of Cambridge scarves will help. What else is there to say, really? Bring on the cold. 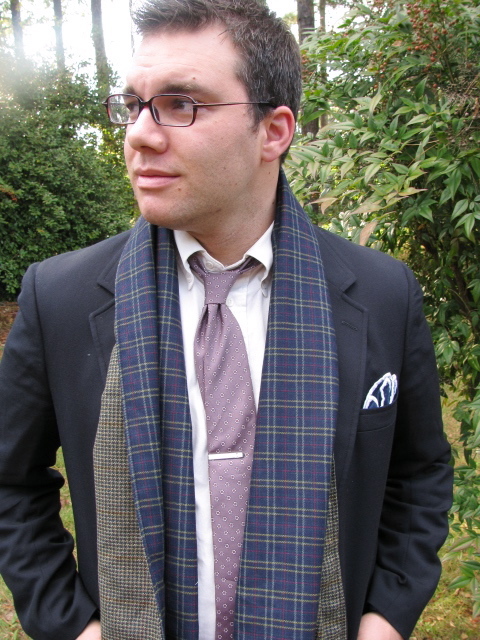 Grab a tweed jacket, a pipe, and a Cambridge scarf. You'll easily be the baddest man in town. I'm Andy Stager, and I approve of this message. Please reserve the part wool/ part chambray one for me. My email is samsamxc@yahoo.com. I don’t know Andy at all but I approve of his message! I’m Andy’s mom, and I approve of this message too! And I definitely approve of the fantastic quality of the offerings at The Cordial Churchman!